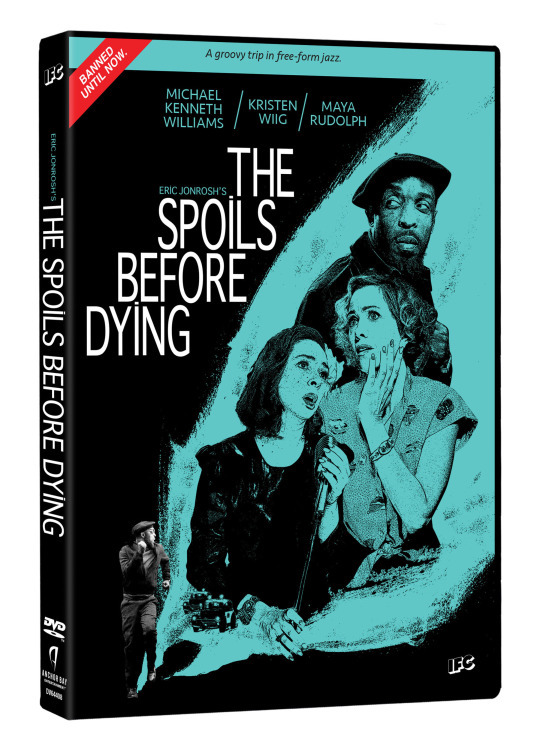 Spoils Before Dying is a follow up to Spoils of Babylon which was a spoofy miniseries supposedly based on a book by fictitious author Eric Jonrosh (Will Ferrell) who introduces the episodes. It is a very silly in the stupid silly sort of way. No that’s not right, it’s silly in the most imbecilic sort of away. The series/film/disaster is supposed to be a big screen adaptation of Jonrosh‘s novel from 1960. Shot in widescreen, in color and in such a way to spoof the show films of the 60’s and film noir conventions. It’s the typical film noir story of an accused man, in this case a jazz pianist, trying to clear his name of a murder charge. Filled with lots of famous faces, Michael Kenneth Williams, Maya Rudolph, Kristen Wiig, the film is like a well-made movie a bunch of drunk/stoned friends would make on a Sunday afternoon after over indulging. You know everyone had a great time doing it but looking at the finished product it’s the sort of thing that if you watched sober, or even drunk, after the fact you’d wonder what the hell you were thinking. You’d then quietly erase it and then claim you lost the tape if anyone asked about it. Technically the film is great. The spoofy titles and the send ups of the conventions of the 60’s and of film noir are right on. The film looks great. The script is terrible. It’s just not funny. It’s like reject jokes from the Naked Gun Movies were set on fire and these guys put the fire out and tried to makes sense of the ashes by snorting them. Worst of all this f-ing thing runs over two hours. A bad half hour sitcom is bad enough but 129 minutes of bad comedy is the sort of think that even the CIA torturers wouldn’t touch as being much too cruel. I hated this series a great deal- so much in fact that I set the DVD and the case it came in on fire as I had a shaman, a rabbi, and priest perform exorcism rites. Avoid when its DVD and home video Tuesday.